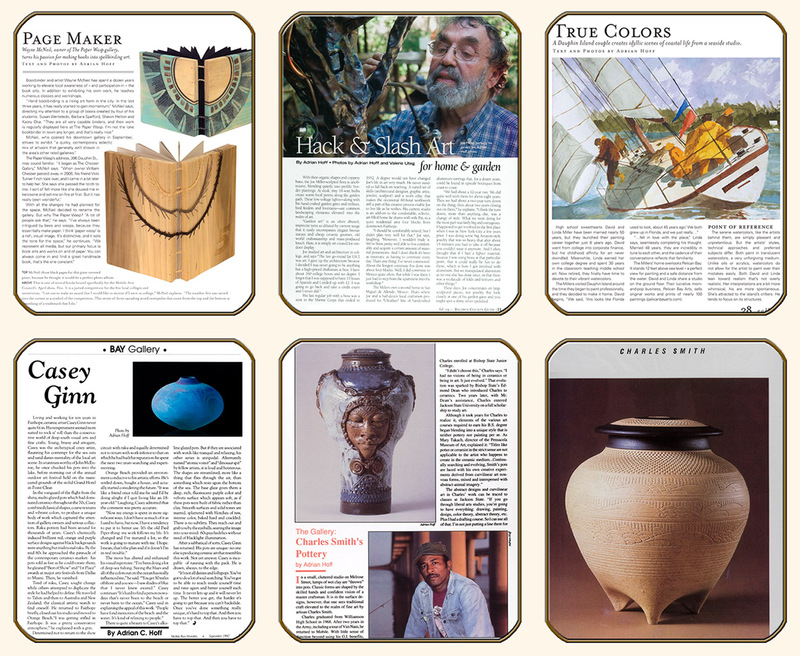 Alabama Arts Writer and Photographer Adrian Hoff: Select Art Articles, published in Mobile Bay Monthly (now Mobile Bay Magazing), American Craft, Down Memory Lane and Ceramics Monthly. 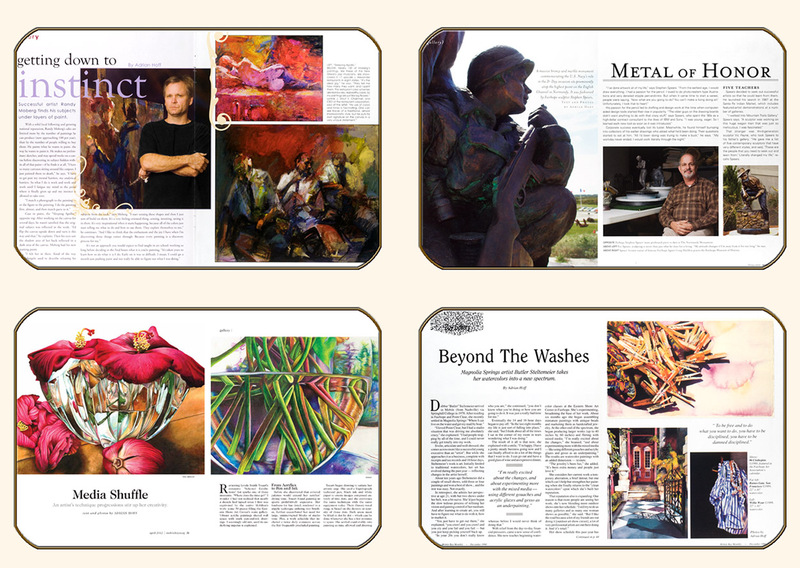 The images below represent less than 1/3 of my published art articles. Click here for a more complete, chronological list with links to complete articles and artists' web sites. 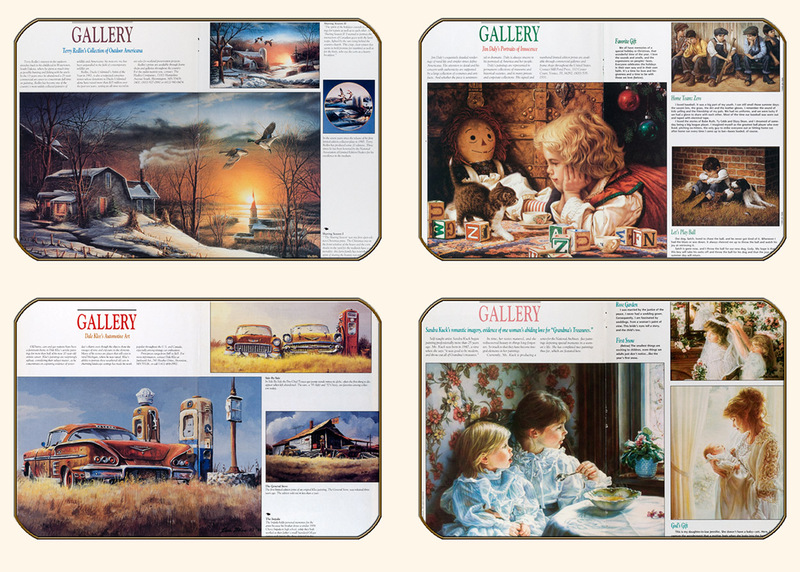 The Charles Smith Portfolio (last of the single-page images) appeared in American Craft magazine's Oct/Nov 1987 issue. 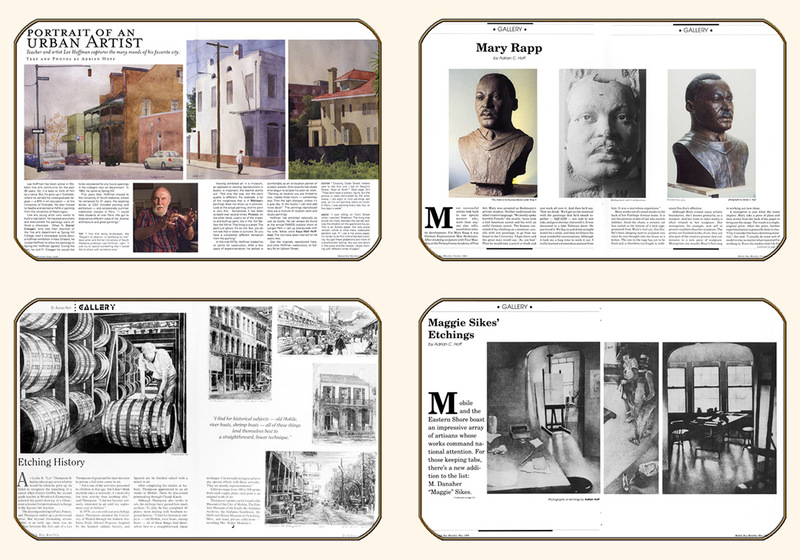 All of the other articles are from Mobile Bay Monthly (MBM) — except the last four, which were published in Down Memory Lane (DML). My first MBM artist profile (October '87) preceded the magazine's Gallery department designation. That appeared two months later in conjunction with the publication of my second art article — and a promise to do at least three more. 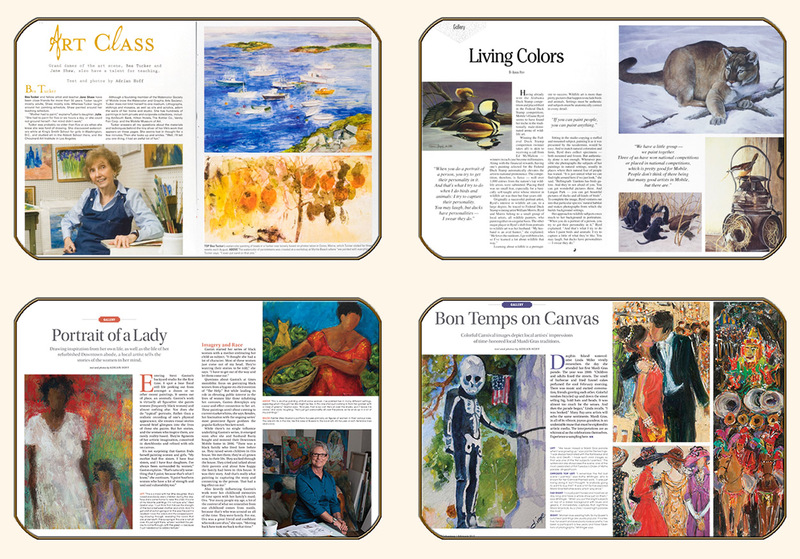 I've not always received tear sheets, soI can't say precisely how many Gallery articles I've done. There are now more than 100 in my files. 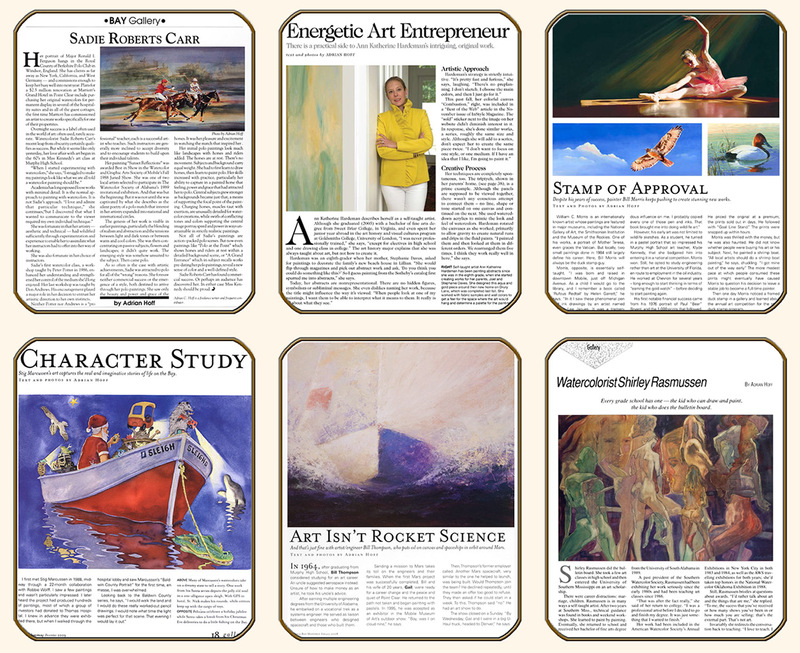 Click here for a more complete, chronological list of my published art articles. 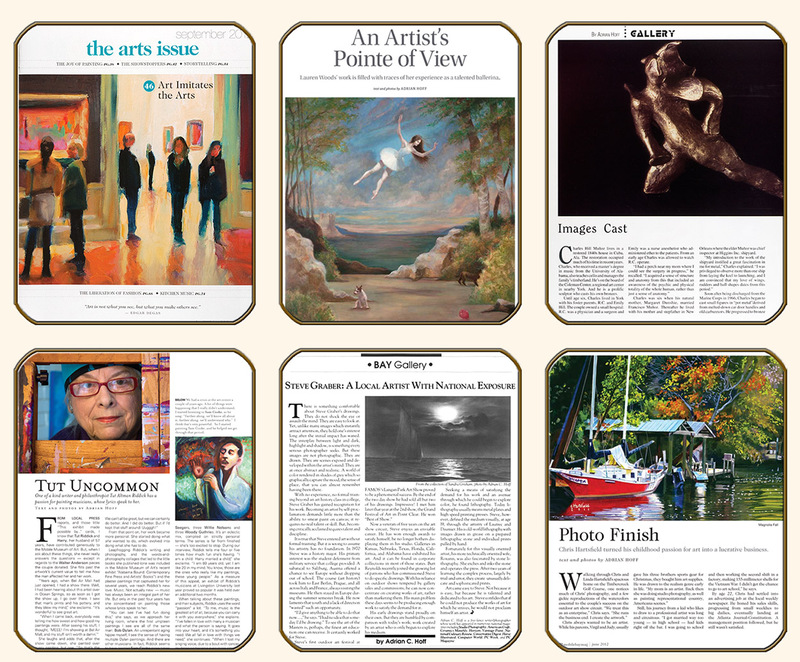 Somewhat abbreviated versions of my recent MBM articles can be found on the magazine's web site - http://www.mobilebaymag.com/.